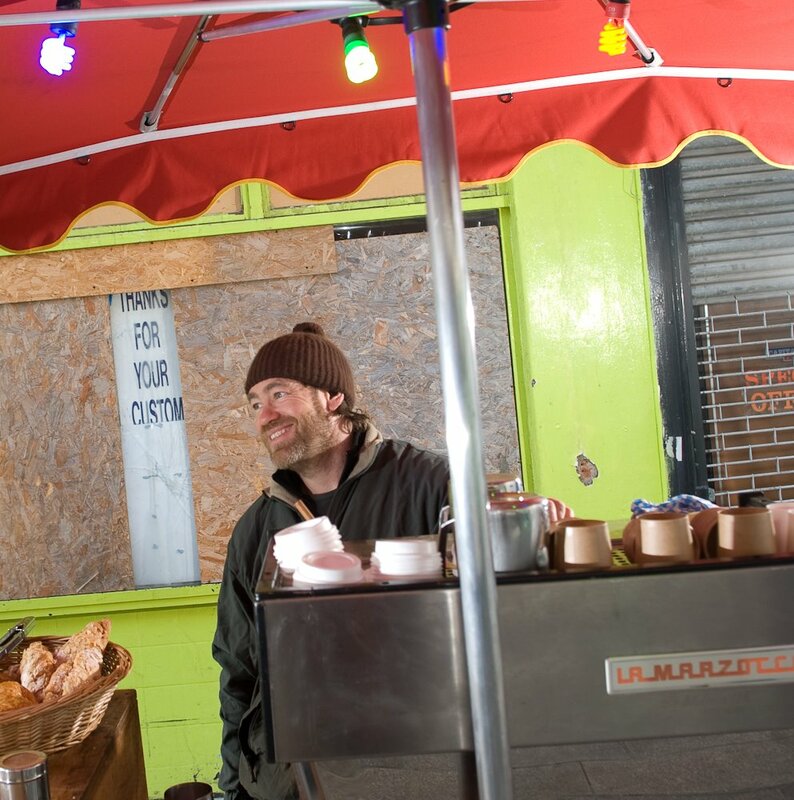 Gwilym works outdoor coffee carts at two busy London markets. He uses coffee from East London’s Square Mile Roasters. Gwilym’s winning espresso was a 50/50 blend made up of Finca San Jose Pulped Natural Red Catuaí from Erwin Mierisch and family in Nicaragua, and an El Molino de Santa Rita Washed Orange Bourbon from Jose Antonio Salaverria’s farm in El Salvador. During the the final Gwilym’s espresso and signature drink attained the highest scores. The idea behind his signature drink was to enhance flavours that were already in the espresso he was working with. He created an infusion of butter, cinamon, orange peel, muscovado syrup, and dark chocolate that he added to the espresso. Here are all the videos from the UKBC Finals. Here’s a podcast about Gwilym. Below is a map showing the locations of Gwilym’s coffee carts. Gwilym is the odds on favourite to win WBC from Newsdesk.